Black Friday is the biggest shopping day in the World with tons of special promotions from retailer giants. You can get huge savings on this day with unbelievable prices. 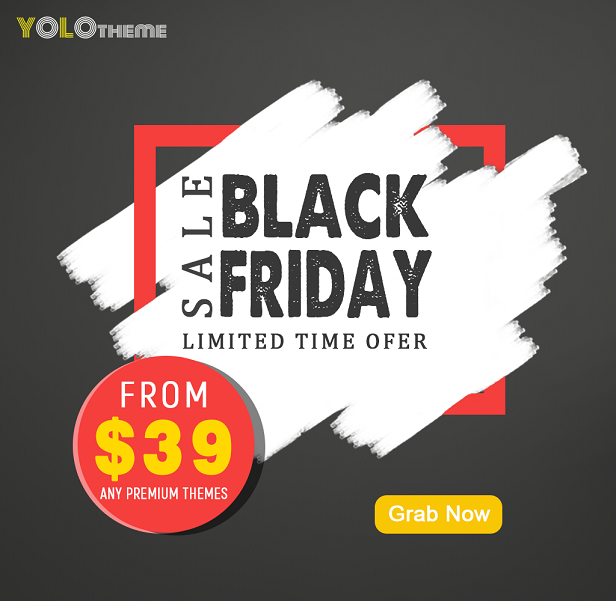 There is no exception at YoloTheme.com, We will start the Black Friday sale on November 16, 2017, with offering an amazing price – just from $39. 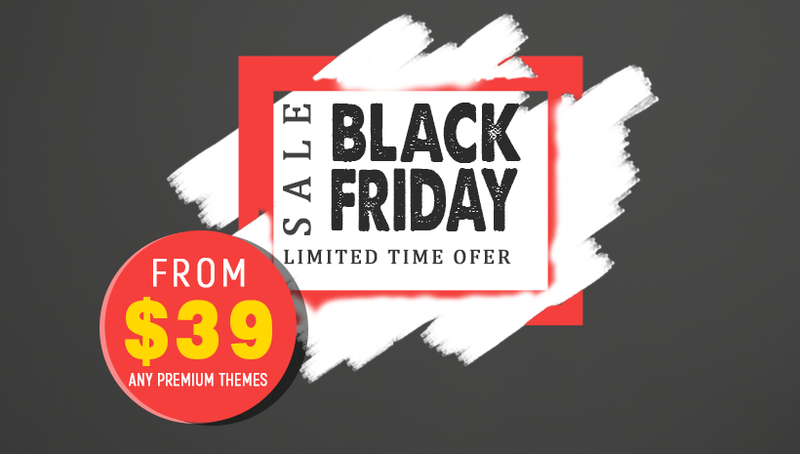 Now you can get any premium themes with an amazing price – Only from $39. With various online business fields as E-commerce Shop, Organic Store, Planter Store, Yoga & Health Center, Education, Event and so on. “Let’s shop till you drop” just a Black Friday quote we love. Being indeed, it’s not dropped, you can get huge huge savings later. Hence, you must update Black Friday Ads and Doorbusters for a perfect Black Friday. Also starting a new website with the best price will be a kick start for business. Thank you for your encouragement during the time and hopefully, you will enjoy this deal on the hottest special sale occasion.